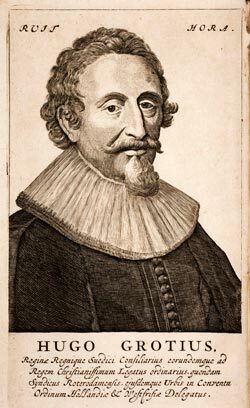 War-Making | Steven J. Barela, LL.M., Ph.D.
[W]herein two things are to be proved, the one that a just feare (without an actuall invasion or offence) is a sufficient ground of Warre, and in the nature of a true defensive; the other that we have towards Spaine cause of just feare, [ . . . ] not out of umbrages, light jealousness, apprehensions a farre off, but out of a clear foresight of imminent danger. War in defence of life is permissible only when the danger is immediate and certain, not when it is merely assumed. I admit, to be sure, that if the assailant seizes weapons in such a way that his intent to kill is manifest the crime can be forestalled; [ . . . ] But those who accept fear of any sort as justifying anticipatory slaying are themselves greatly deceived, and deceive others. Moral debate over war has been with us for centuries, and its historical filiations in the Western world are best traced through the familiar just war doctrine. Its protracted existence and constantly developing recurrence in Western thought speaks to the depth to which the moral dimensions of war run within the populations from which it sprang. Even though there has been a history of formulating a reasoning for casting aside any ethical and legal considerations in war-making, classical, modern, and contemporary forms of moral (at times mixing clearly with legal) analysis are a testament to the durability and relevance of such an approach. However, it should be remembered that limits on warfare have come together over scores of years from an amalgamation of sources. These include Christian theologians, who developed a moral doctrine inside the church, international lawyers who enunciated principles that guided and set in motion the first texts of this discipline, and military professionals who focused on considerations of fair play rooted in chivalry. Therefore, as the just war theory will serve as the overarching vehicle that will drive this axiological analysis, it should be understood as a relatively imprecise term that rightfully reflects the intersection of the vital concepts of law, morals, and prudence. As such, it is certainly a fitting tradition to be used in this work treating the equally interdisciplinary subject of legitimacy. We discussed the concept of overlap and shone a light on a coincidence that exists between legality and morality. In particular, we spoke to the prohibition of free violence that must exist in any and all legal or moral codes. This exclusion directly relates to the work of this chapter as we will be exploring the rules that have been laid down over the centuries for reducing or eliminating unconstrained military attacks. As this will not be an exhaustive study of just war theory, we will focus on the primary aspects of the tradition that are directly pertinent to the justifications put forward for the invasion of Iraq in 2003. The classic doctrine of just war had three basic requirements—right authority, just cause, and right intention—and these conditions provided the fundamental shape for how the theory would further develop over time. Nevertheless, these basic criteria also held within them concepts that have become more explicit, including that war must only be defensive in nature, that it is to be used only as a last resort, that there be a reasonable chance of success, and that armed hostilities are proportional to the harm that was suffered. Here we will explore the three particular concepts of “anticipatory attacks” for self-defense, “last resort,” and “right authority” since they are most directly relevant to our question. 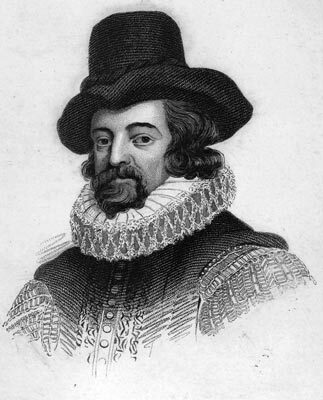 While some advocated in the 17th century that a “just feare” was a reasonable standard for triggering war (an argument that resulted in no progeny), others insisted that the criteria for launching an attack must be more objective and verifiable (argumentation that helped found international law). While all of these criteria from the just war theory correlate to the attempt to exclude wanton bloodshed from international society, our attention in the first half of this chapter will be focused on the distinction between “preemptive” and “preventive” war. The divergence found between these two terms and concepts helps explain the disquiet that grew over what has become known as the “Bush Doctrine.” As will be seen, there was an important bifurcation in the just war tradition during the late sixteenth and early seventeenth centuries, and a part of the cleavage was based on this very issue of anticipatory attack. While some advocated in the 17th century that a “just feare” was a reasonable standard for triggering war (an argument that resulted in no progeny), others insisted that the criteria for launching an attack must be more objective and verifiable (argumentation that helped found international law). Although it is often forgotten, there was a call within the US (if only by poll) for a sanctioned justification by the UNSC before the invasion of Iraq, lending validity to the idea that in a notable number of people’s minds this body indeed holds the mandate found within its charter. What this meant was that the debate over an invasion of Iraq manifested itself in two primary ways that directly affected public diplomacy. First, there was a worldwide movement of people who descended into their streets to protest this anticipatory attack on the public reason put forward, making it clear that there was a “moment for deliberation.” Second, this human display of objection coincided with one of the most high-profile diplomatic debates of contemporary times at the UNSC over the question of whether an invasion on the grounds presented would be legal and moral. 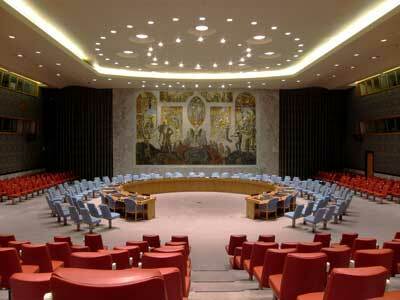 All of this demonstrated a growing belief that Article 39 of the UN Charter indeed vests the UNSC with the “right authority” to “determine the existence of any threat to the peace, breach of the peace, or act of aggression.” Thus, the second half of this chapter will treat the significance and details of this diplomacy taking place on a public stage. 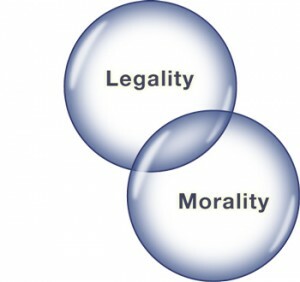 To once again clarify the overlap that exists between legality and morality, we return to The Concept of Law, where H. L. A. Hart put forward a list of five essential causal connections between natural conditions and systems of rules. There are two which primarily concern us in the discussion of a restriction on unprovoked violence: human vulnerability and approximate equality. The first of these connections deals with the exposure that every human confronts when interacting with others. Each of us is vulnerable to bodily attack that could shorten or end our existence, and, as such, we enter into a societal contract (either implicitly or explicitly) requiring mutual forbearance by all members. Hart described the basic starting point for all rule-governing interaction by stating, “[o]f these the most important for social life are those [prohibitions] that restrict the use of violence in killing or inflicting bodily harm”. So vital is this protection to our human vulnerability that without it there would be no reason to have rules of any other kind. This fact of approximate equality, more than any other, makes obvious the necessity for a system of mutual forbearances and compromise which is the base of both legal and moral obligation. Social life with its rules requiring such forbearances is irksome at times; but it is at any rate less nasty, less brutish, and less short than unrestrained aggression for beings thus approximately equal. Although Hart himself argued in 1961 that the inequality of states renders the necessity of this prohibition unsuitable to the international realm, there is good reason to doubt that his reasoning continues to be applicable. The fact that the most powerful states now regularly invoke self-defense when using military force against non-state actors suggests that the difference is irrelevant because individuals can cause significant harm on a level that can be construed as parity. Additionally, the proliferation of weapons of mass destruction among states, and the fear that they could end up in the hands of violent persons, again changes this calculus of great inequality among actors in the international sphere. It is thus argued here that the same interpretation of the law that accepts violence by individuals as a sufficient spark for states to appeal to self-defense (UN Security Council Resolutions 1368 and 1373), by way of logic, also requires an understanding that the discrepancy in strength among states and non-state actors is no longer wholly relevant; threats from individuals and weaker states have become equally perilous. Hence the individual analogy often eschewed in discussions on the use of force is held by this author to be all the more relevant today. Thus we will proceed on the assumption that there is indeed a very important overlap between morality and law at the precise point which concerns us in this chapter. 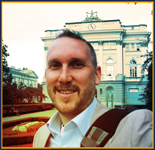 Survival is a shared value among all humans, and this mutual interest stretches across borders, cultures, or tribes. It will be important to note the application of the individual and domestic analogy in our analysis. There certainly are some who argue that such analogies are inappropriately applied because international relations should be understood as realpolitik, and every state preserves its own raison d’état, thus invalidating moral and legal perspectives. In other words, politics between nations must be understood through a nation’s material considerations and national interest rather than through abstract ideals. However, in the circumstance before us, we are analyzing the legitimacy of a regime or policy, and, therefore, the perception of individuals, and public opinion at large, are directly consequential. Even though there was indeed an historical moment in which states unblushingly argued that recourse to war was their own prerogative to exercise at will and that any appeals to international laws were meaningless, this was an idea that “never seized the public imagination”. It was in this same historical context that Otto von Bismarck wrote dismissively of the public’s ability to grasp political matters because they are “only too ready to consider political relations and events in the light of those of civil law and private persons generally”. Since legitimacy most certainly turns on the perceptions of people and their individual will to obey the government, the domestic analogy loaded with concepts of right and wrong, good and bad, along with morality and immorality, is directly pertinent here for our analysis of the use of force in the “war on terror.” It would seem absurd to assume that a public is readily and easily going to extract itself from calculations of war, particularly when all are asked to support it, and members of the society are asked to kill and be killed. As Michael Walzer points out, “[u]ntil wars are really fought with pawns, inanimate objects and not human beings, warfare cannot be isolated from moral life”. Of course, this jus ad bellum discussion of the invasion of Iraq that is to follow raises at least two other questions: how does the question of legality relate to Operation Enduring Freedom which committed a coalition of armed forces into Afghanistan? And what jus in bello questions are relevant for evaluating morality and the “war on terror”? Due in large part to the unanimously approved UNSC Resolutions 1368 and 1373, offering an authoritative interpretation of the character and legal meaning of the 9/11 attacks, the invasion of Afghanistan in 2001 in reaction to the attacks on US soil rested on very different legal grounds than that of the mobilization of troops into Iraq. The use of the specific language in both resolutions, “the inherent right of individual or collective self-defence,” has been largely taken by international lawyers to mean that the UNSC determined that 9/11 had indeed triggered a right to respond with force. Additionally, in letters submitted to the UNSC, both the US and the UK justified the military operation in Afghanistan as individual and collective self-defense. As to the second question raised, specific examinations of jus in bello regarding the “war on terror” will be primarily limited to the issues of detention without judicial review and torture and ill-treatment during interrogations that are to be found in other chapters. There is no doubt that the means by which a war is waged factors directly into the calculations of its moral character, which can be plainly surmised through its later inclusion into the doctrine of just war. 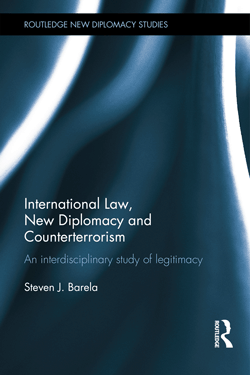 For this reason, two complete chapters of this work are dedicated to analyzing particular aspects of humanitarian and human rights law in war, although through somewhat different lenses of analysis. To be sure, the war in Iraq raised other jus in bello questions such as the use of white phosphorous against insurgents and civilians during the assaults on Falluja, the use of cluster bombs, and whether feasible precautionary methods in targeting were properly implemented. However, the scope of this work will not include the armed-conflict operations in Iraq after invasion and will instead concentrate on the jus ad bellum question of law and morality. IED blast in Iraq (2007). This chapter is organized around an application of the most pertinent portions of the tradition that has served as the baseline of moral analysis in Western civilization for at least some 1,500 years when it comes to armed conflict. We will begin by tracing the historical filiations of the just war tradition on the question of anticipatory military action in Section II. It will be demonstrated that the distinction between preemptive and preventive war is one that has long existed and forms a critical understanding within the tradition that armed hostilities must be launched in response to a verifiable injury. Next, we will deal with what has become known as the “Bush Doctrine” in Section III. It was presented to the public as a “preemptive” policy, although it is more properly termed “preventive war.” Yet in the end this rhetorical sleight of hand could not hide the war in Iraq’s moral failings as the claims of future dangers showed themselves to be nothing more than erroneous suspicions. In the second half of this chapter, beginning in Section IV, there will be the treatment of whether military confrontation was employed as the “last resort.” It will entail a discussion of the manner in which morality inevitably enters into such debate when there is clear evidence of a choice through a public “moment for deliberation”. In Section V there will be a discussion of “right authority” in the context of the United Nations as the world’s public forum for diplomacy. Here it will be argued that the “right authority” of the UNSC was bypassed through expedient interpretations which transferred a questionable authority into the hands of governments to unilaterally sanction the opening of hostilities themselves. 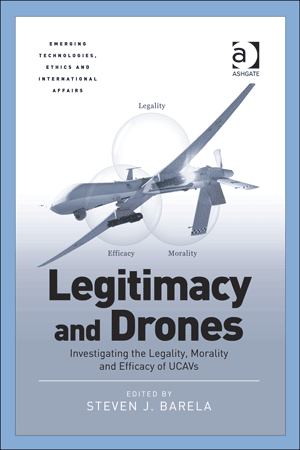 Finally, Section VI will provide conclusions while pointing out that the Obama administration has also honed in on the precise question of “imminence” as the standard for anticipatory lethal force across international borders in its unmanned drone program rendering the historical research of this chapter acutely pertinent once again. The Bush Doctrine: Preemptive or Preventive War? BACON, F., ‘Considerations Touching a Warre with Spaine’ , in Certaine miscellany works of the right honourable Francis Lord Verulam, Viscount St Alban (London, I629) at 8. GROTIUS, H., De Jure Belli ac Pacis, Book II, chpt. 1, sec. V in The Classics of International Law, James Brown Scott (ed.) (Oxford, Claredon Press, 1925), at 173. See e.g. the well-known Pro Milone speech, CICERO, The speeches / Cicero. Pro Milone; In Pisonem; Pro Scauro; Pro Fonteio; Pro Rabirio postumo; Pro Marcello; Pro Ligario; Pro rege Deiotaro (Trans. N.H. Watts)(Cambridge and London, Harvard University Press, 1931) Cicero argued, “that should our lives have fallen into any snare, into the violence and the weapons of robbers or foes, every method of winning a way to safety would be morally justifiable. When arms speak, the laws are silent; they bid none to await their word.” at 17; and YOO, J., ‘Using Force’ (Summer 2004) 71, University of Chicago Law Review 729, “[r]ather than pursuing these doctrinal or moral approaches, this Article addresses the rules governing the use of force from an instrumental perspective,” at 731. See e.g. TUCK, R., The Rights of War and Peace (Oxford, Oxford University Press, 1999) 234 pp. ; WALZER, M., Just and Unjust Wars, 3rd ed. (New York, Basic Books, 1977) 353 pp. ; JOHNSON, J., Ideology, Reason and the Limitation of War : Religious and Secular Concepts 1200-1740 (Princeton, Princeton University Press, 1975) 285 pp. ; JOHNSON, J., Just War Tradition and the Restraint of War (Princeton, Princeton University Press, 1981) 380 pp. ; HAGGENMACHER, P. Grotius et la doctrine de la guerre juste (Paris, Presses Universitaire de France, 1983) 672 pp. Idem, JOHNSON, Just War Tradition. KULL, S., RAMSEY, C. and LEWIS, E., ‘Misperceptions, the Media, and the Iraq War’ (Winter, 2003/2004) 118, 4 Political Science Quarterly, 569: “Asked in a Chicago Council on Foreign Relations poll in June 2002 about their position on invading Iraq, 65 percent said the United States ‘should only invade Iraq with UN approval and the support of its allies’; 20 percent said ‘the US should invade Iraq even if we have to go it alone’; and 13 percent said ‘the US should not invade Iraq.’” at 569 note 1. HART, H.L.A., The Concept of Law (Oxford, Oxford University Press, 1961, 1994) at 194-5. UN Security Council, Security Council Resolution 1368 (2001) Threats to international peace and security caused by terrorist acts, 12 September 2001, S/RES/1368 (2001); and Security Council Resolution 1373 (2001) [on threats to international peace and security caused by terrorist acts], 28 September 2001, S/RES/1373 (2001). Immediately identifying this as a significant problem was Antonio Cassese, “Terrorism Is Also Disrupting Some Crucial Legal Categories of International Law,” European Journal of International Law 12, no.5 (2001): 993–1001. Nonetheless, this novel interpretation of individuals and non-state groups triggering self-defense carries with it further adjustments that are emphasized here. WALZER, Just and Unjust Wars, at 63. POMPE, C.A., Aggressive War: An International Crime (The Hague, Martinus Nijhoff, 1953) at 152. WALZER, Just and Unjust Wars, at 64. Permanent Representative of the United States of America to the United Nations addressed to the President of the Security Council, Letter (7 Oct 2001), U.N. SCOR, 56th Sess., U.N. Doc. S/2001/946; Letter dated 7 October 2001 from the Chargé d’affaires a.i. of the Permanent Mission of the United Kingdom of Great Britain and Northern Ireland to the United Nations addressed to the President of the Security Council, U.N. Doc. S/2001/947. © Steven J. Barela. | All rights reserved.